The National Capital Territory of Delhi enjoys a peculiar federal status with features of both a State and a Union Territory. The resultant tussle for power between the State and Central Government over the administration of Delhi has led Chief Minister Arvind Kejriwal to demand full Statehood for Delhi. Inevitably, the matter came before the Supreme Court. 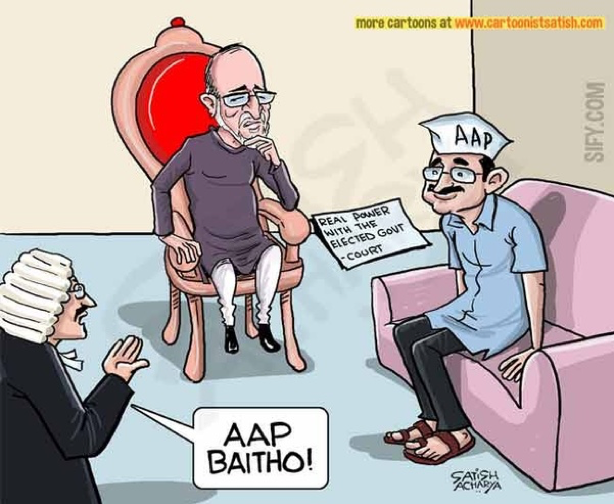 Satish Acharya (@satishacharya), ‘Kejriwal says Lt Governor not obeying Supreme Court order!’ (Cartoonist Satish, 9 July 2018) <https://www.cartoonistsatish.com/kejriwal-says-lt-governor-not-obeying-supreme-court-order/> accessed 1st December 2018. The Court heard the case for a long time before arriving at its judgment -- a total 15 days. 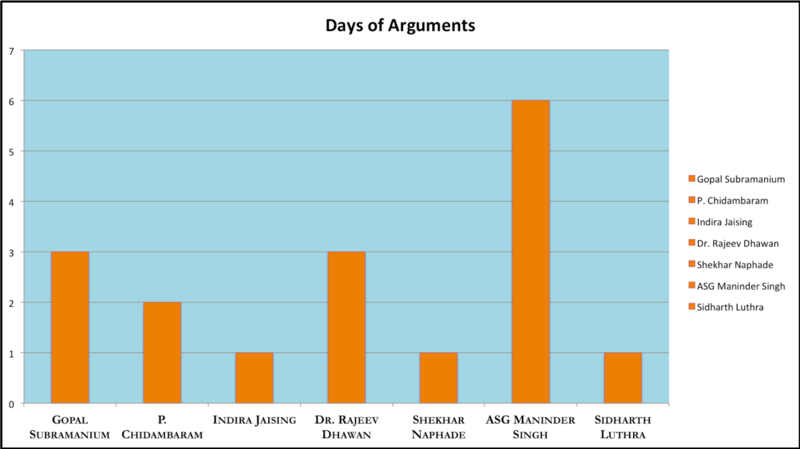 Counsels were not allocated an equal amount of time to present oral arguments. The 5-judge Constitution Bench unanimously held that the Chief Minister and not the Lieutenant Governor (LG) is the executive head of the government. It issued 3 separate concurring opinions. (see Judgment Matrix below). Is Delhi a state or a UT? Delhi is a class apart, not a state or a UT. Status of Delhi is special. But Not a State. What is the constitutional position of LG in Delhi? LG is an administrator in the limited sense unlike the governor. LG is not the executive head of Delhi unlike other UTs. LG in Delhi has a broader role than the governor of a state. Is LG bound by the “aid and advise” of the Council of Ministers (COM)? LG is bound by the “aid and advise” of the COM. LG has no “independent power”. LG’s duty to listen to “aid and advise” of COM flows from cabinet form of government. Must be balanced with LG’s special power of reference. LG has special powers of reference in some cases. What does “any matter” imply under Article 239AA(4) with respect to referring matters to the President? “Any” does not imply every matter. “Any” does not imply every. What matters can be referred to the President? No specific matters or conditions laid down. Only matters of “vital national interest” can be referred. LG must consult with minister and COM before reference. While the judgment clarified who the executive head of Delhi is, it did not resolve all questions arising out of the power tussle between the Territory and the Centre over the administration of Delhi. Who has control over the Anti-Corruption Bureau? Who has the power to appoint and transfer bureaucrats? 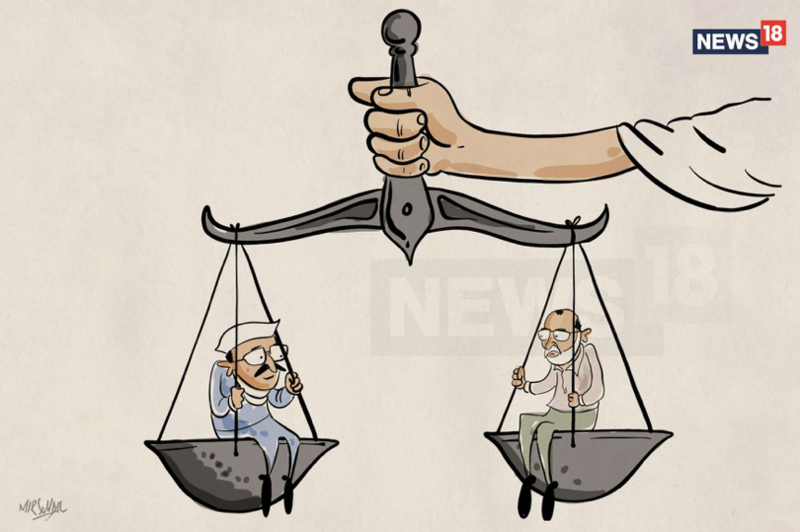 Mir Suhail, ‘Illustration’ (News 18, 5 July 2018) <https://images.news18.com/ibnlive/uploads/2018/07/Kejriwal-vs-lg.jpg> accessed 1st December 2018.